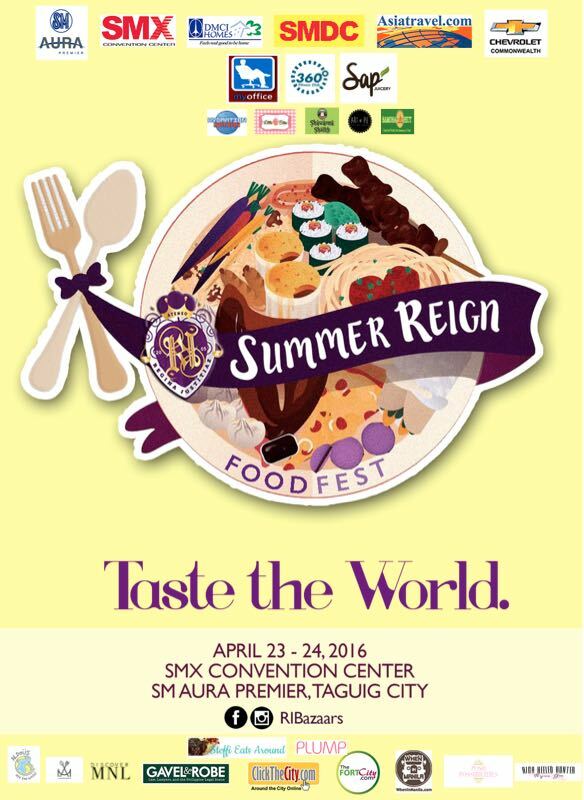 Aldous ate the World is a proud media partner of the Summer Reign Food Fest happening on April 23 - 24, 2016 at the SMX Convention Center, SM Aura Premier. The event is made possible by the longest running sorority in the Ateneo Law School, Regina Iustitae. The event features local and international food brands showcasing the best they have to offer. Some of the most popular foodies in the country will also be on hand including Roch Santos, Kyna Gem, Steffi Chua and of course, myself. Entrance to the event is FREE and registering gets you P1000 GCs from our sponsor. Don't forget to save the dates! Eat until you drop at the Summer Reign Food Fest!